Every day, throughout boardrooms of all companies, a number of people argue about the customer needs and wishes. It is an opinion against opinion. Not a single good idea was created without an argument about it. The important part of the process is, how do you proceed next? One of our rules in the Kontra brand studio is “I think” is not an argument. Every time when we are working on a new strategy, we are underlaying our opinions with proves and verifying our hypothesis. For such verification is Pulsar Audience Insights the best possible tool. We are offering you this exclusive aid, as we are the only ones having access to Pulsar in Eastern Europe. So, what kind of information can you actually acquire using Pulsar? Let's imagine this situation. 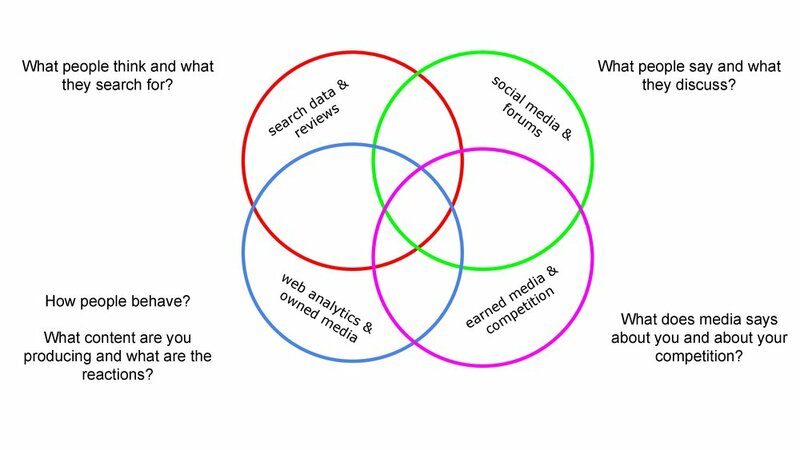 You are trying to figure out your social media content strategy. Your advertising agency says your target group loves kittens. You think that your target group loves puppies. Who is right? We can measure that using Pulsar. We offer a one-day workshop in which we will guide you through the whole new level of information of which you could have only dreamed of before. But now seriously - how does Pulsar work? Pulsar collects data analytics from your social media and publicly available conversations and content from users on Facebook, Instagram, Pinterest, Twitter, Youtube, and Whatsapp. It also adds data from your site's analytics, collects all of your keyword or brand references across all of your Internet news, blogs, and discussion forums. It even monitors reviews, for example TripAdvisor. Such a complete analyst will not offer you any other tool. On top of it, we have access to one of the best artificial intelligence in the world - IBM Watson. It can transcend content and conversation to recognize emotions, tone and can map the distribution of content among influents. IBM Watson can even recognize what is in the pictures and the content context to determine the situation in which the content arises-for example, whether the person is on the street, at the bar, or at home in front of the television. So how can you use Pulsar? 1) Brand monitoring and positioning completely in the digital environment. The key role of the brand is to differentiate, so we can compare what words are most often used by competitors, what pictures, formats, colours, and what are the target group's reactions to specific kinds of content. All this can be compared with your own channels. This will help you create a competitive content strategy. 2) Prospecting themes - on a specific target group, we can examine trends in specific keywords, how they develop, how do people feel about them, and what are, for example, related images or emoticons. We can see how much they interact with specific media outputs and whether they have a positive or negative reaction. This will help you update your campaign topic, for example. 3) Product development - in a particular target group or region, we are able to monitor how the frequency of topics in a particular product segment evolves, what people are talking about and with what emotions. Together with this, we are able to analyze reviews on different portals. The result might be required inside for the creation of a new product or product line or flavor. The Pulsar Audience Insights Workshop is designed for brand managers of large brands who want to verify the correctness of the strategy or the hypothesis of consumer behaviour and opinions with quarterly regularity or ad hoc. It is also suitable for the separation of market research and product development. What is going to happen during the workshop? Kickoff meeting - together we will find out what questions you are facing and what analytical method we are able to answer with Pulsar. Together, we create specific hypotheses. Prospecting - we need to estimate how much data we need for the survey. Based on the prospecting you will get a specific Cost Estimate for the workshop. For 150,000 mentions or keywords, its price is set at about 150,000 CZK. Research - before the workshop itself, we will spend several days preparing data for so-called clusters. So at the workshop, you're coming to pre-prepared and cleaned data that's easier to work with. Workshop - an intensive one-day workshop, during which we will at first introduce data clusters that lead to the first conclusion. Together we dive into the data and examine insights and concrete strategies. Follow-up - a complete summary of all insights as well as backgrounds in the form of statistical summaries and arguments. Check-up - for the next 3 months, you have the option of having a consultation with us and we can inspect Pulsar together, so you could come up with additional questions. Are you interested in a workshop? Get in touch! What have we found out using Pulsar? Pulsar is able to distinguish objects in pictures and videos. So we decided to find out what are the most commonly used ingredients among vegans. And the results brought a big surprise - in the first place in the number of mentions and impressions, of course, won a salad, followed by a surprising ingredient - chocolate. Avocado ended in sad tenth place and broccoli on the twentieth. If something is trendy among vegans - it's chocolate. The Pulsar team wanted to find out what is the most popular ice cream flavour based on current conversations and remarks made on British digital channels. Although chocolate leads in a strawberry hanger, they have come up with other interesting findings. The most frequently mentioned situation in connection with ice cream is someone's birthday celebration. 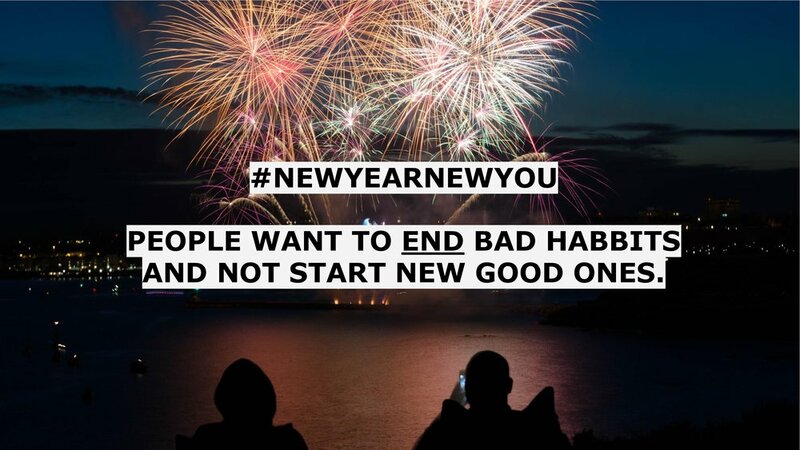 Conversations á la #NewYearNewYou are down on January 3 at the same volume as before Christmas. In fact, the most common word associated with the New Year is the word "stop". People, therefore, perceive the New Year's resolve as an opportunity to correct something that they do wrong. With the new year, they want to "stop" and not "start". Maybe that's why the gym is empty again in February. The autumn campaign of the H & M clothing chain has sought to promote "other" girls. Plus size, trans, queer, girls sitting with their legs stretched out in the subway, girls who do not shave the armpits, or those that eat fries in their bed. But it did not work as well as they expected it in H & M. Pulsar's artificial intelligence revealed that negative emotions prevailed during the time of the campaign. It is the artificial intelligence of IBM Watson that can distinguish between text and visual material or emojis emotional tuning of the content. In fact, the second most mentioned keyword during the campaign was "Manufacturing." If one of your friends said back in 2008 that he met his significant other over the internet, it would have been a bit embarrassing for him. Nowadays, the use of dating applications is a commonplace matter, as demonstrated by Pulsar and its monitoring of the topic. Over 80% of people that talk about online dating use Tinder. Simultaneously almost 14% have Grindr installed. People most often talk about online dating (and most likely use the app at the same time) on Saturday and Monday nights. The huge increase in the topic is visible, for example, on May 13, 2017, after the announcement of the launch of the app Just a Baby. This app, in the same way as Tinder, introduces sperm donors or surrogate parents and attracts mainly Tinder and Grinder users who are interested in serious relationships. As part of the monitoring of brand names, Pulsar also focused on the American mattress market. Artificial Intelligence IBM Watson has distinguished an interesting thing in pictures and texts. The word "pain" was very often repeated and, on the other hand, most of the advertising content of the various brands displayed fine, pastel colours and tried to make them "comforting".After thoroughly examining frequently repeating phrases, it has been shown that the most common reason for choosing a new mattress was the comparison with the old one.It is the only knowledge that customers actually have. And their experience with that old mattress is almost always bad. With Pulsar you are able to define your target group not only by talking about the product segment but also by very atypical attributes. For example, whether dogs or cats appear more often in their photos. So who wins? “Dog people” have on average of 26 friends more than “cat people”. There is more than twice the likelihood that “cat people” will be friends with “cat people” only. And what about the supposition that "cat women" are more often single? It's true. Among "cat people" there is 20% more singles. Do you want to get your strategy to the next level? The Kontra brand studio helps larger and smaller brands and institutions become unforgettable. Perhaps this fate awaits you. Get in touch!